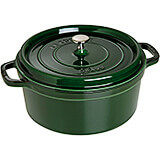 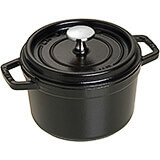 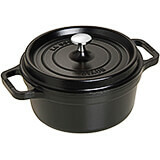 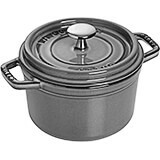 Due to the superior construction of the Staub round cocotte lids, less humidity can escape during the cooking process. 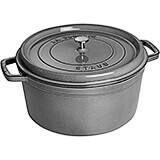 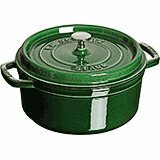 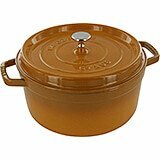 10% more moisture is retained inside the Staub cocotte after 55 minutes of cooking time, Oven Safe up to 500°F. The Staub self basting system in the lid is 9 times more effective than conventional lids. 15" X 13.5" X 8.5"
10.6" X 9.25" X 4.5"
14" X 10" X 5.59"
14.7" X 10.9" X 5.8"
14.7" X 11.6" X 6.2"
14.74" X 10.8" X 7"
8.5" X 6.4" X 5.3"